They're now available for pre-order and will set you back between $295 and $395. 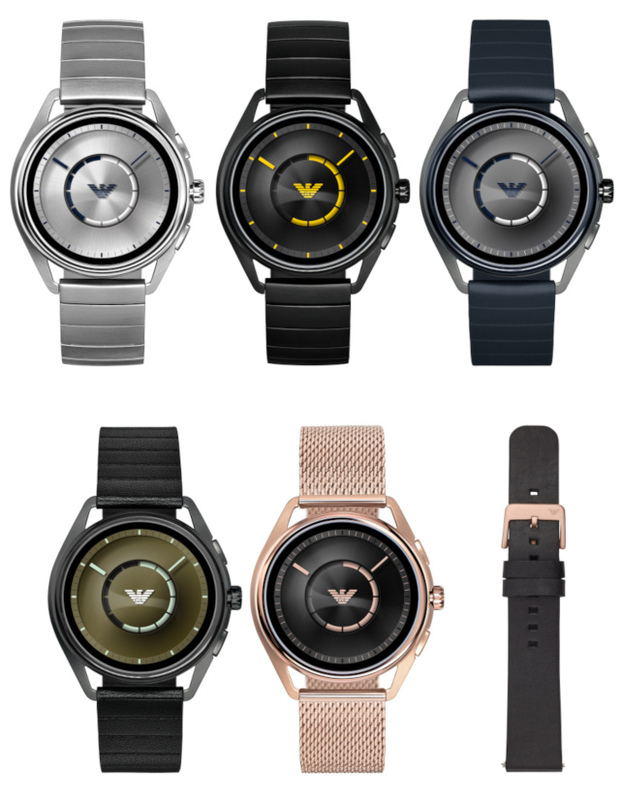 Emporio Armani has launched new touchscreen smartwatches for those who prefer Google's Wear OS in a designer package. The fall models feature new dial designs on a 1.19-inch AMOLED display and stainless steel cases. One of them is available with either a metal monolink or a rubber/leather two-piece strap bracelet, while the other comes with either a metal mesh or a leather bracelet -- because hey, if you're buying fashion-focused smartwatches, they better look good. Since they're still smart devices and not purely timepieces, the models do come with high-tech features commonly found in wearables. They have heart rate trackers that sync with Google Fit and third-party apps. They also have NFC to give you access to Google Pay (where available) or Alipay in China. You can access Google Assistant through the devices, as well, so you don't have to take out your phone if you just need to ask the voice assistant something. The devices are now available for pre-order from Armani's website -- the one with the mono-link bracelet will set you back $395, while the style that comes with a mesh or leather bracelet costs $295. They'll start shipping and will be available worldwide in September at Armani stores and other retailers.